11 weeks have past by in Ligue 1 (if you missed week 11, here’s our customary roundup: https://everydayiszlatanday.com/2014/10/28/ligue-1-roundup-week-11-2/) . Marseille are still atop the table, but for the first time their potential title quest is being questioned. Lyon have been the most in-form side in Ligue 1 and are back in a Champions League spot (albeit it’s a CL playoff spot and Lyon proved that the playoffs for European football can be much tougher than expected). 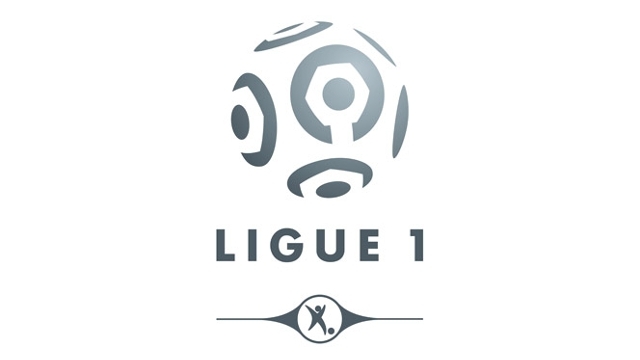 There’s also other subplots in the league: Nantes are 5th despite having a transfer ban that won’t be lifted until the summer of 2015, Monaco have finally begun to rebound after the worst start imaginable, PSG are only 4 points off of Marseille and 6 points separate 9th place Rennes from 20th place Guingamp. I decided not to include PDO in the data above. Lately there’s been talk about the usefulness of the stat in football, something you can read in much greater detail in Richard Whittall’s piece on 21st Club: http://www.21stclub.com/blog/2014/10/28/in-defence-of-one-of-the-most-controversial-stats-in-football-analytics. I may experiment with PDO for Ligue 1 in a historical matter in the future but for now I’ve decided to not include it and simply just use pure shot data, percentage of shots on target on offense/defense and Open play Goal %. Lorient’s Open Goal % pretty much screams of the absence of Vincent Aboubakar. He contributed 14 non penalty goals last season for Lorient, which was massive in Lorient finishing in the top half of the table. They’re actually doing rather decently in non conversion statistics, which may be an indicator that they should be all right in the long term but it doesn’t look good that the only match they’ve won in their last 7 matches was against probably the worst team in Ligue 1. Bastia… you’re not good. I’m sorry Claudio Makelele. I’ve taken my fair amount of shots on Monaco on Twitter this season, as have a lot of people. Yes, James Rodriguez and Radamel Falcao aren’t walking through that door, but this is still a very young and talented squad they have. Yannick Federick-Carrasco has had his ups and downs (though he was spectacular versus Bastia last Saturday) and Dimitar Berbatov is maybe on the decline, which would put Monaco in a pickle in terms of who plays as the ST/CF in their 4-3-3. One thing I do wonder is whether they’ll use the money from the money they recoup on player sales like perhaps Joao Moutinho to fund for more players in their prime instead of having a massive dichotomy between their very young core and their over 30 players. Either way they’ll be fine in the long run and will be in the thick of it for the Champions League next year. Speaking of inefficient, there’s our good friends Nantes look down upon many other teams in fifth place. It’s weird, their data is pretty much similar to Lille except in terms of shot location. Both them and Lille would be very interesting to look at in terms of game states (how teams fare when leading, trailing or tied). This is an avenue I may look into in the future if I have enough time to do so. Nantes though have two players I enjoy watching in Georges-Kévin Nkoudou and Jordan Veretout, and Veretout in particular is becoming one of the better creative midfielders in Ligue 1. Not much else other than that, Saint Etienne have the best TSR in Ligue 1, the top 3 have offensive data that out laps the competition, and again pray for Claudio Makelele. This entry was posted in Analytics, Ligue 1. Bookmark the permalink.